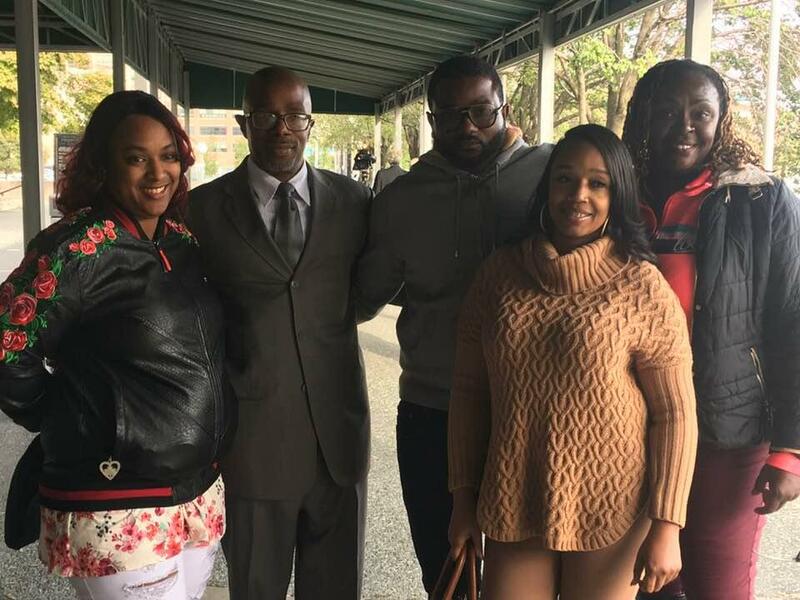 Darrell Siggers, second from left, with family after charges against him were dropped. But things began to change when Siggers and his attorney from the State Appellate Defenders Office, with help from activist Claudia Whitman and others, uncovered information that the Detroit police crime lab technician who presented ballistics evidence tying bullets from the scene to a gun recovered from Siggers’ home wasn’t really a firearms expert. With the evidence of Siggers’ likely innocence mounting, the Wayne County Prosecutor’s Office Conviction Integrity Office took up the case. After conducting its own investigation, the CIU recommended that Siggers’ conviction be overturned. Now that he’s officially cleared, Siggers says he plans to go back to school to further the associate’s degree he earned behind bars, and spend time with his children and grandchildren. “At this point I just want to live life with my family, enjoy my freedom, and just be thankful and grateful to God and all the good people that helped in this improbable journey,” he said. Siggers’ case represents the third full exoneration for the Conviction Integrity Unit, which just launched in January to examine historic cases in Wayne County for possible wrongful convictions. It also overturned the conviction of another prisoner released in September, who currently faces the possibility of a re-trial. “Today, to the credit of [Prosecutor Kym] Worthy and [CIU head] Val Newman and the prosecutor’s office, a wrong was finally righted for good,” Mueller said. Siggers is the 19th person to be exonerated in Michigan since 2017. A new federal grant could help exonerate more wrongfully convicted people from Wayne County. It marks the start of a partnership between Western Michigan University’s Cooley Law School Innocence Project, and the Wayne County Prosecutor’s Conviction Integrity Unit. After spending 45 years behind bars for a murder he didn’t commit, Richard Phillips walked out of court officially a free man Wednesday. Phillips was convicted of the 1971 murder of Gregory Harris in Detroit, but always maintained his innocence. He tried to appeal his conviction several times with no success, including a 1997 appeal that languished in the courts.